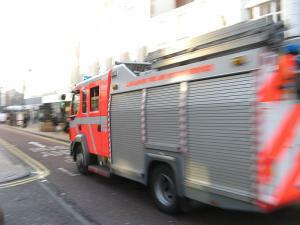 Firefighters have been called to tackle a blaze that broke out at a car garage in Gainsborough. Four fire crews had to attend to the incident at Spalding’s Sales, Services and Repairs in Bridge Road after flames burst from one of the company’s workshops at around midday on Monday 26 January. The business may well need to call on its motor trade insurance policy in the aftermath of the fire. A combined motor trade insurance policy can offer protection for a wide range of things; firstly it can cover damage or theft of vehicles stored on site as well as equipment, tools and machinery. The policy can also provide insurance cover for the business premises itself, in case the building is damaged. Meanwhile, additional business interruption cover can provide financial support if a business has to close its doors for an extended period of time as a result of a fire, flood or burglary, for example. The exact extent of the damaged caused by the fire at Spalding’s is not yet know, the Lincolnshire Echo reported. A Lincolnshire Fire and Rescue spokesman explained how events unfolded: "Initially, two appliances from Gainsborough were called to the scene. "They were joined by two more from the neighbouring Nottinghamshire brigade, from Misterton and Retford. Four main jets and two breathing apparatus kits were used by the firefighters to bring the fire under control. "The fire is out and they are damping down and investigating the cause of the incident."